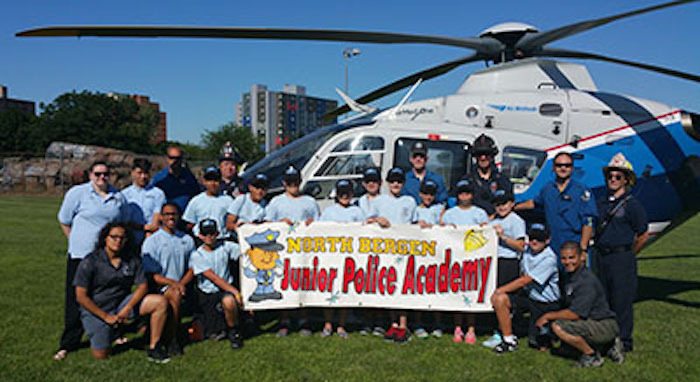 The North Bergen Junior Police Academy for township children entering the 7th or 8th grade will once again be held in conjunction with this year’s Summer Fun program. But the clock is ticking: applications must be submitted by June 20, 2016. The Junior Police Academy is not a “boot camp” for troubled youth, but a camp designed to operate like an actual police academy for those interested in law enforcement and for students that show they have leadership skills. The objective of the Junior Police Academy is to educate the cadets with various police procedures, history of the North Bergen Township Police Department, tours of the Police Headquarters, a field trip to the NJ State Police Museum and Learning Center and/or to the 911 Memorial & Museum, and give them comprehensive understanding of what it takes to succeed in the profession of law enforcement. The Junior Police Academy will run for five consecutive days, starting on Monday, July 18 and ending on Friday, July 22. It will be held at the Lincoln School Annex, located at 1206 63rd St.
Cadets are accepted first-come, first-served. Classes will not exceed 30 cadets. For more information or an application please click here.